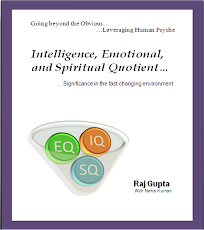 Having covered 4 major cornerstones of HR foundation i.e. Talent Acquisition, Organizational Development, Employee Engagement & Service Delivery. I shall attempt to cover Compliance & Law of the Land this time. In smaller to medium organization, Controllership and Legal Compliance ownership rests with HR Leader while in bigger organization they have their on specific departments to ensure compliance to the law of the land. In this series, I’ll write up article keeping in mind IT, ITES & BPO industry and applicability of Labor Laws to these organizations. 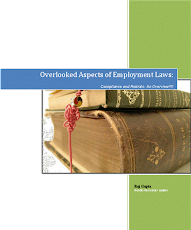 We may not need expertise, however, it is imperative that we have a fair understanding of laws of the land to become all rounded HR Professionals. I keep meeting lot of senior HR Leaders and find that this is an area which is hitherto untouched. This primarily happens as in bigger companies due to scale they have specific role carved out for senior people whether it is Talent Acquisition, OD or Employment Engagement and leaders manning these role do not tend to venture out on their own to become all rounded HR Professional. I am also no exception, I am sure if I have had continued with GE for another 10 years, I may not have got the detailed learning's related to compliance framework and labor laws. Let me give you an example - Organizations deploy contract staff doing janitorial, security and routine maintenance work and other services, as an organization, it is imperative that we have a contract registration licence in place, how many of us as HR Leader know that and will bother to check whether the licence is in place or not? I am sure, not many. When you reach at a top HR position in your organization, then you do not have a choice and if you are already equipped, life become a bit easier. Watch out for the space!!! 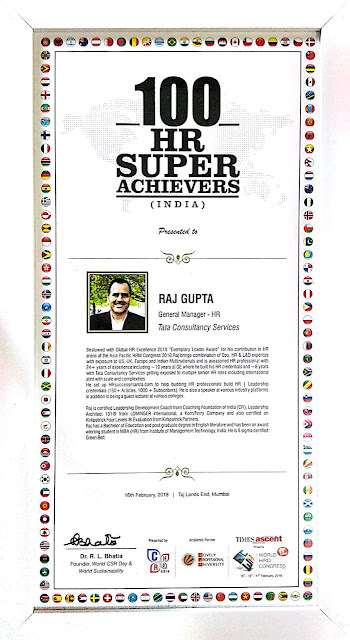 100 HR Super Achievers Award - I owe it to my career influencers!!! Silent worker - To be or not to be? Adopt "BINDAAS" Approach to work....Use failures as stepping stone! What can you do to get the best out of your Boss? Passion, should we wear it on our sleeves? Should we hire people smarter than ourselves? Bestowed with 100 HR Super Achievers in India by World HRD Congress and Global HR Excellence Exemplary Leader Award at the Asia Pacific HRM Congress for his contribution in HR Arena, Raj brings combination of Ops, HR & L&D expertise with exposure to US, UK, Europe and Indian Multinationals and is a seasoned HR professional with 2 decades of experience including ~10 years at GE where he built his HR credentials and ~8 years with Tata Consultancy Services getting exposed to multiple HR roles including international stint with scale and complexities. Founded HRsuccessmantra.com to help budding HR professionals build HR & Leadership credentials (150+ Articles, 1000 + Subscribers). He is also a speaker at various industry platforms in addition to being a guest lecturer at various colleges. Raj is certified Leadership Development Coach from Coaching Foundation of India (CFI), Leadership Architect 101® from LOMINGER International, a Korn/Ferry Company, Kirkpatrick Four Levels ® Evaluation from Kirkpatrick Partners and is also certified 6 sigma Green Belt.